There are so many different ways to wear check print this season. Check print is one of the biggest print trend this fall/winter season and a must-have pattern. It is also a great alternative to work style. Check print can upgrade your work style whether you are combining it with a solid color or pairing both prints together. For me, the best way to wear check print is to make sure the look is not overwhelming. Incorporate solid colors with minimal accessories when wearing print or mixing two bold prints. Wearing check on check print can be tricky, but doable. 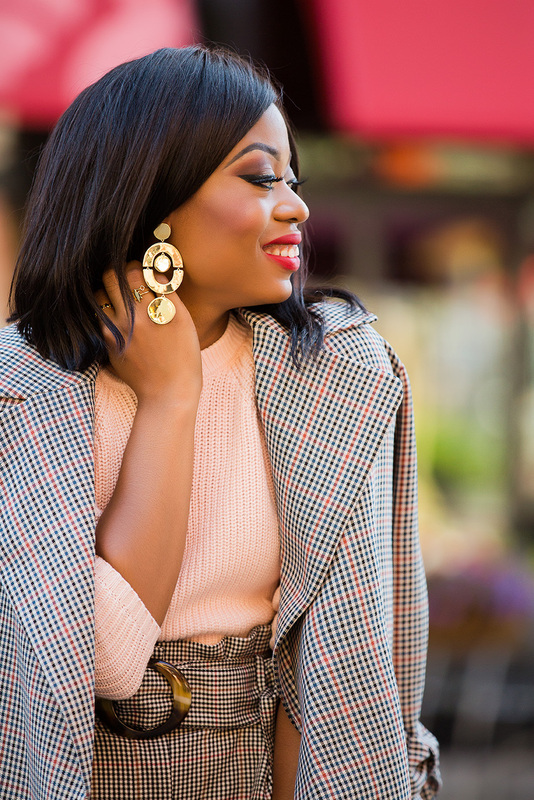 For this look, I paired it with a solid pale pink sweater to complement to print colors. My accessories are minimal with a neutral bag and classic pumps to create a professional work look. I absolutely love this look, so classy and chic. You look Amazing!